UPDATED TO VERSION 1.2.1! 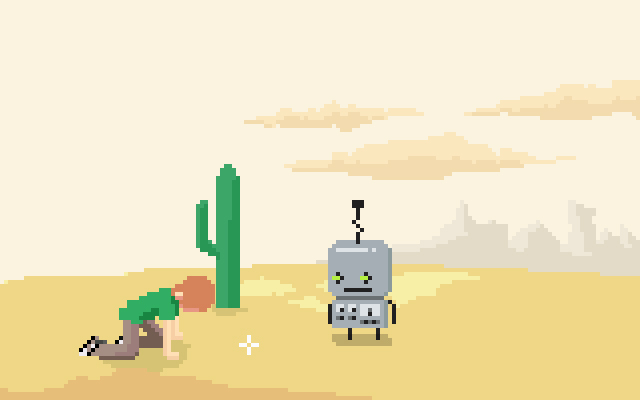 Robot crashes on an unknown planet, he must repair his "home" to continue the journey, and to get to a party in time! Game was originally made as an entry to RuMAGS #10 which is a MAGS inside of Russian AGS community. 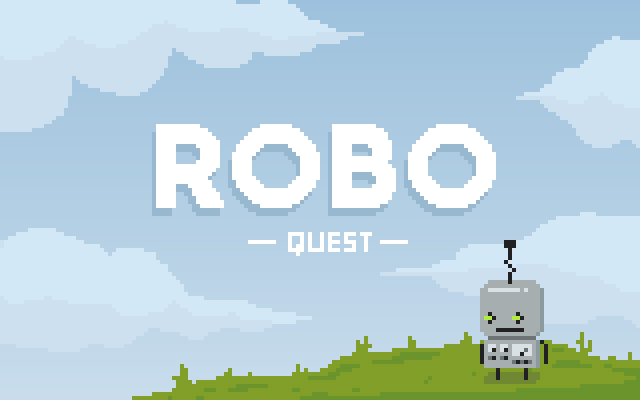 "Robo Quest is charming little game about a Robot struggling to get to a party in time. While being rather polished - especially the graphic style is clean and consistent - its plot is so simplistic it resembles one of those browser based escape-the-room games. 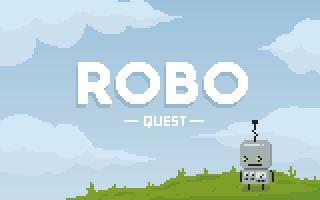 What it lacks in depth and story-telling, it makes up for in really cute pixel art. " Very nice game. One of the most relaxing I played. Excellent pixel art. Do yourself a favor and give it a try. I was impressed with these cute style of the Pixel Art Graphics this game set out, while there where no moments of super splendor, there was also no moments of hidden items that blended into the background. While it was hinted your robot would gain more powers in the 'full game' the one powerup you did have felt a little pointless, there didnt seem to be any reason for it to be not powered up all the time and the fact you only used it twice was a bit of a let down. While, as I said before, you could see everything clearly there were certain parts that your robot would stand in-front of the objects you would need to use, resulting in a back and forth walk to continue with the game. The Look command was underused too with only a few objects 'lookable' when not, the click would have no effect, same with the 'use' nothing would happen leaving me wondering if I clicked it right. For such a simple story it felt like it was missing, and I really didnt know what was going on for the most part. What type of party was it? Do I need to go look for another crystal? What are the codes to these? 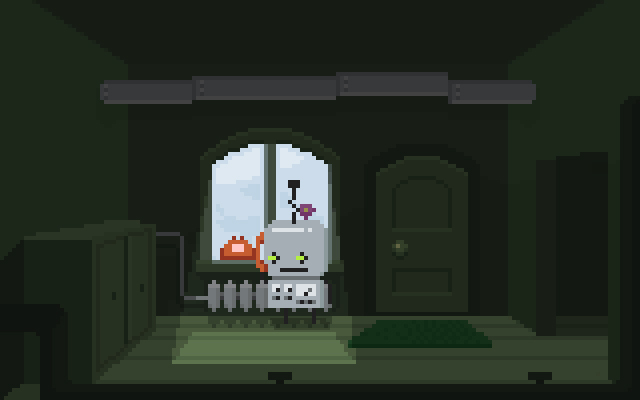 The sound effects fitted well, giving a nice feel to the robot walking around and touching things within the world. If your after a quick little game, this is perfect. The puzzles are not brain busters so just sitback and relax and enjoy. Nice and cute game. Recommended to the lovers of small, cute games! Nice and cute game. Reccomended to the lovers of small, cute games! Super-cute little game. Definitely well worth your time!